Much of the old system still exists. For example the older and better “Classic Editor”, Dashboard, older Stats page, Post/Page Lists etc (see below). 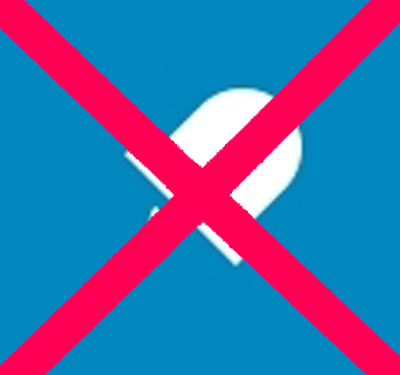 It is only the links from the new system that have been withheld. I presume, to give the appearance that the new system is preferred. Any attempt to remove all access to the older, and generally preferred system, will surely be seen as a destructive act of belligerence against customers by WP. The new system, which uses Rest-API (Application Programming Interface ⇐), makes “apps” programming easier, provides remote access and records a lot of information about our activities as bloggers. The information collected is potentially profitable as a saleable item. Perhaps that is why WP are so keen to force it on us. Allowing the old system to co-exist would probably mean replicating it using API. More about API and WordPress ⇐. I don’t suppose that anyone would have minded the new API system if they hadn’t made such a hash of it. Please pass it on to any who might find it useful. Just copy the above to a notepad, replace yourblogname with your own blog name and then copy the result to your address bar (overwriting or deleting its current content) and then click on Go or Enter. Example using my blog name. 2. 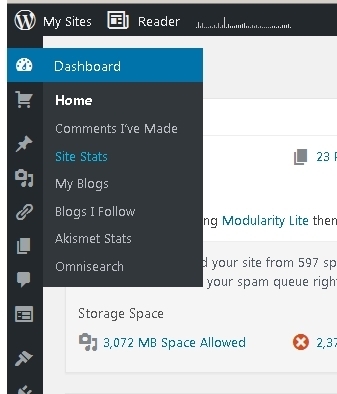 Thanks to a comment by notewords.wordpress.com, one can click on “WP Admin” at the bottom left of the new Stats Page and start from there. Either way, your dashboard should then open and it is possible to use the left side menu to access all the old system, including a very old version of stats. Do bookmark/favourite your Dashboard for ease of future use. . The left side menu can be expanded to text, or slid back to icons, by using the lowest arrow button of the menu. The menu includes the original Post Editor (Add New), Posts List (All Posts) etc. There is also access to a very old Site Stats. By using the right hand mouse button, any link can be opened in a new tab. More ↓. I found it helpful to open a number of menu items in new Tabs and then bookmark/favourite for ease of future use. One can even create a Browser Folder of useful bookmarks, for each of one’s blogs, and use them as a custom menus. One can log in to any part of old system by using the relevant Bookmark. Always open the Reader in a new tab, to avoid getting trapped in the new system. Using Bookmarks is very helpful if you find yourself trapped in the new system. 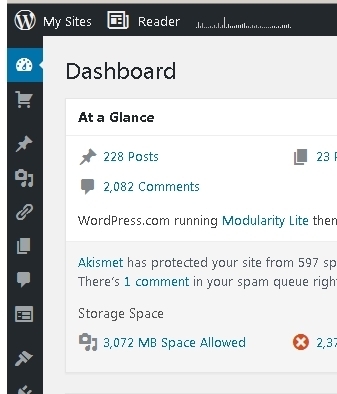 It will also be helpful if WP start removing more links. If you would like to make your views known about recent changes (and the more comments the better), the forum link is:. All logged in WP bloggers have the right to use it. About changes to the WP Reader ⇐. This entry was posted on December 28, 2016 by Graham in Hats. It was filed under WordPress Changes and was tagged with Stats page, wordpress changes, WordPress Stats, WordPress Workarounds, Worspress Stats Changes, WP Changes, WP Stats, WP Stats Changes, WP Workarounds. Most helpful. I had never thought of the selling of our information angle…..
Glad it was interesting. It seems that, despite all the posturing, it’s really all about profits. It’s not impossible for us to have an effect, but it does require a lot of bloggers to get involved. 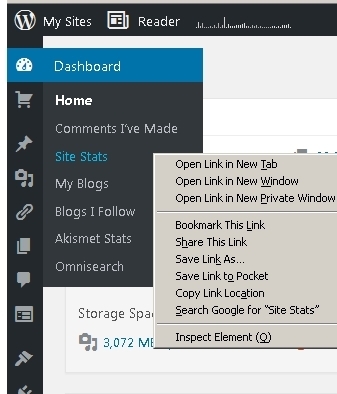 I find WP-Admin at the bottom of the left menu when I am in the stats page. Thanks very much for that. I had overlooked it.